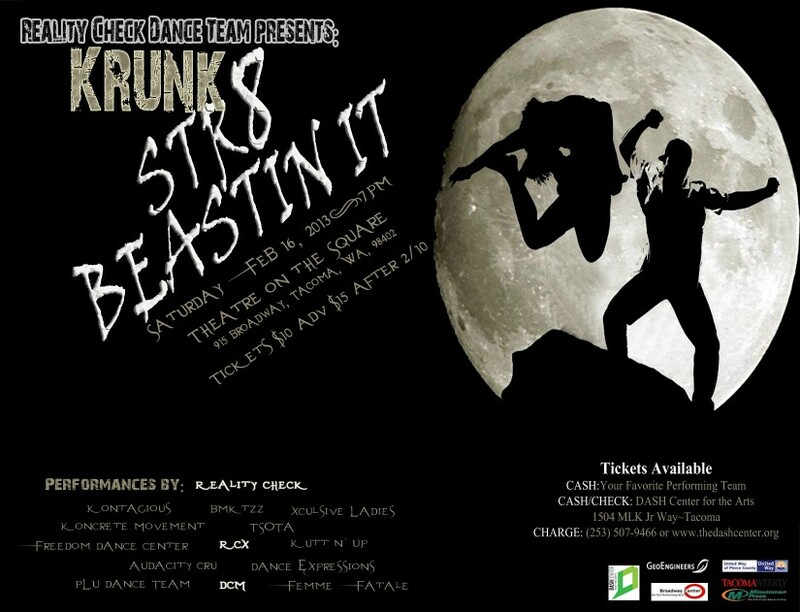 KRUNK is a dance showcase featuring some of the Northwest’s best dance groups all on one stage. It is a showcase instead of a competition, which brings together dancers, dance companies, and their audience’s from all over Washington, as a tribute to dance. Now in its 8th year, KRUNK is a family-friendly event, showcasing all styles of dance. More than 50 dancers of all ages will participate and the talent and showmanship will be electrifying! See performances by Reality Check, Koncrete Movement, Kontagious, Audacity Cru, RCX, PLU Dance Team, DCM, Femme Fatale, the Bosses, Kutt N’ Up, BMKTZZ, Xclusive Ladies, Freedom Dance Center, TSOTA, Dance Expressions, and many more. KRUNK is produced by DASH Center for the Arts and hosted by the teen members of Reality Check Dance Teams. Come along for an exciting journey through the art of dance. Tickets: $10 if purchased by Feb 10, $15 if purchased after Feb 10. Purchase at DASH Center, 1504 Martin Luther King Jar Way, Tacoma, via phone at 253.507.9466, or online at thedashcenter.org. Classical Tuesdays in Old Town welcomes the Tacoma Symphony Orchestra Chorus for the closing concert of their 8th season. 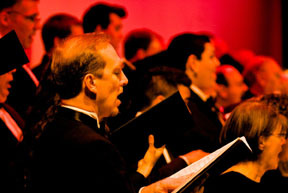 The concert will feature highlights of the chorus’ current season. 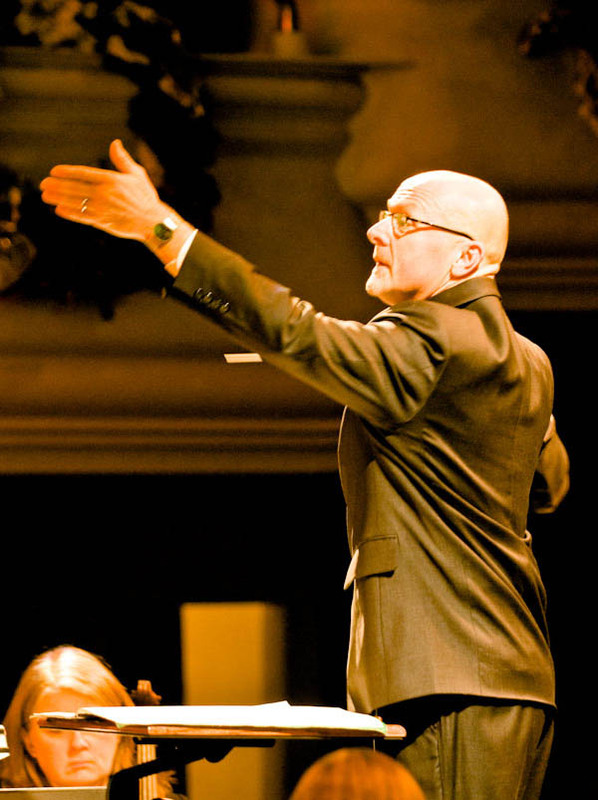 Led by Director Geoffrey Boers, the TSO Chorus will sing movements from Handel’s Messiah, selections from this winter’s “Sonic Delights” concert and a preview of their upcoming spring concert. Bring the whole family! Classical Tuesdays concerts are free and welcome all ages. Geoffrey Boers directs the TSO Chorus. After the concert you are invited to gather at the new Treos espresso/wine & beer bar in Old Town neighborhood (2312 N. 30th St.) They’ll have baristas waiting and ovens heated. This is a special preview for the friends of Classical Tuesdays; Treos is opening next week. For more information, visit classicaltuesdays.blogspot.com or call (253) 752-2135.